The NEW M Toulouse Phoenix Platinum saddle is a classically French styled, extremely close contact saddle with a narrow twist. The soft Double Leather feels broken in on the first ride. Available with the Genesis™ Adjustable Tree for the best fit for your horse, and NEW STP-Advantage Wool Panels for even more adjustability. 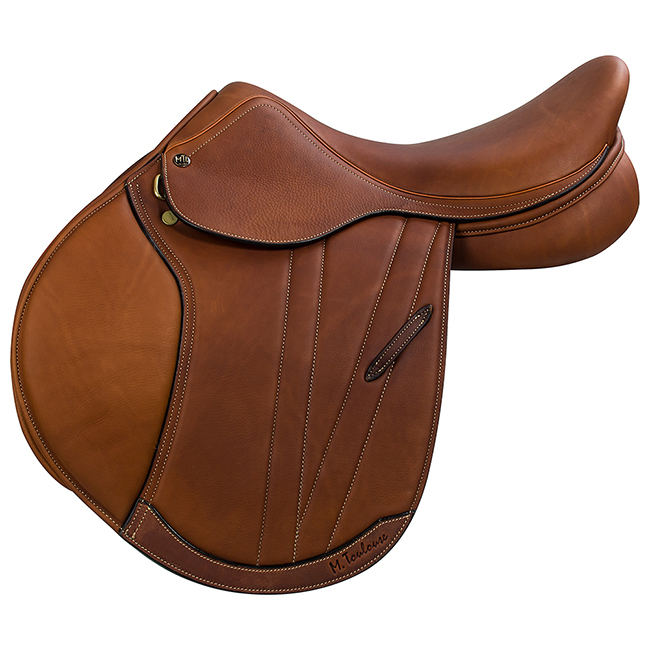 The Phoenix saddle was insprired by the Brittany Saddle, making the seat deeper, and changing the foam panels to STP-A wool panels. Natural Sizes 16 1/2” - 18 1/2” Genesis Adjustable Tree only, regular and long flap.